Two days after Duane Rutter played acoustic guitar for 48 hours to raise funds in honour of his mother, who died of cancer 10 years ago, and he was back at his day job. “I've got some considerable numbness in my strumming hand, and the fingertips of my fretting hand don't have much feeling yet, but I feel great,” Rutter told Samaritanmag. 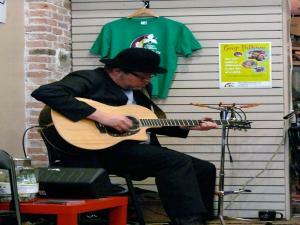 The guitar marathon began on February 25 at Robot Cafe in Port Dover, Ont. and was streamed online at duanerutter.com. The event raised over $2000, with all proceeds going to Waterford, Ont.’s Camp Trillium, an organization that offers recreational experiences to bring children with cancer and their families together. “I've been telling people that I bumped my head and wasn't thinking straight,” he jokes of the reason he started the marathon. The decision to use his musical talent for greater good was a simple one. As for his choice of fund-raising activity, he had already paid homage to his mother on his 2007 debut solo album, Waiting Room, in which he sang about his personal experience with her battle and hospitalization. “It was a voice in my soul telling my brain; 'Do a 48-hour playathon. It's the thing to do,’” says Rutter, who has been playing guitar for more than 30 years. “When you see marathons, for whatever the cause is, it's always a physical event, running or some other big thing. And that's wonderful, but a lot of us don't realize that we have our own gifts that we can tap into to help. In this case, I can play the guitar. 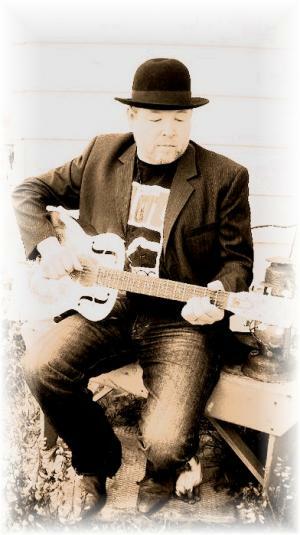 He made arrangements with Robot Cafe owner and fellow musician Fred Eaglesmith and two weeks after coming up with the idea, Rutter began the marathon. Over the next 48 hours, he did not take breaks (except zipping to the washroom) and played both originals and covers. With loads of encouragement from fellow musicians who sat in with him onstage, as well from friends and family, and the staff at Robot Cafe, Rutter sailed through the experience. “Everyone at the marathon was just like a huge family. There were lots of hugs and lots of tears,” he says. Buckcherry Singer Josh Todd - "I Just Want To Do What Feels Right"